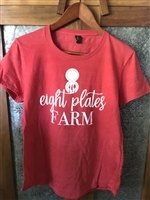 A comfy, comfy fitted t shirt for any occasion. 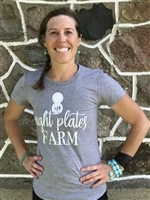 Farmer Carla is wearing a small. 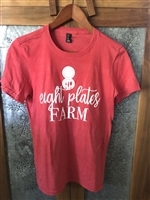 A comfy, comfy t shirt for any occasion. If you would like a looser fit, size up one size. Comfy T Shirt for any day of the week. 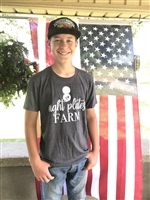 Farmer Silas is wearing a Medium. A comfy t shirt for any day of the week. 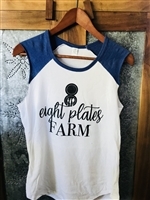 A comfy, loose fit cut off that will pair well with a flannel or sport jacket, or just look good on it's own. A comfy, loose fit baseball cut off that will look stylish with a flannel or athletic jacket, or look good on it's own. 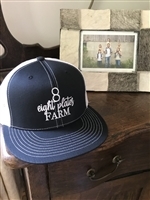 Super stylish flat billed cap with a snap back closure. Stylish Pacific Headwear hat with a snap back closure. 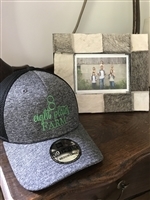 My kids love the flat bill! Stylish Flat Bill from Pacific Headwear. 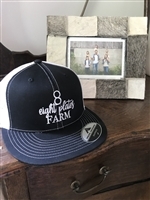 Comfy fit baseball hat with white mesh and snap back closure. 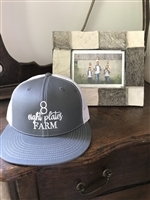 Comfy baseball hat with a khaki mesh back and snap closure. 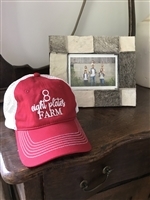 A favorite of mine to wear around the farm or out for errands. 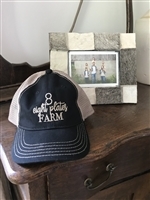 Comfy baseball cap with stone colored mesh back and a snap closure. Comfy cotton sweatshirt that is a little more fitted and athletic. Black hoodie strings and black line hoodie. 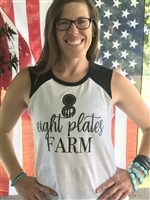 Farmer Carla is wearing a Medium. A more fitted cotton sweatshirt that runs a tad small. Black hoodie strings and a black lined hoodie. Size up for a more comfy fit. A comfy sweatshirt in a more fitted style. Black hoodie strings with a black lined hoodie. Has a more athletic fit. Size up for a looser fit. 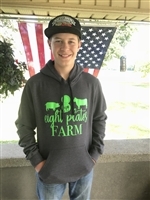 A comfy sweatshirt for every day with bright neon green lettering. 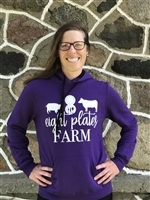 Super stylish sweatshirt for all sizes! Fits small so size up one size! 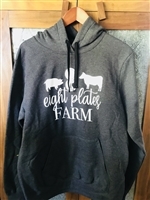 Super stylish and comfy sweatshirt! Size up one for sure, as it does run small. 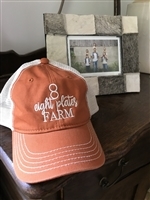 Look stylish by sporting the Eight Plates Farm Logo! 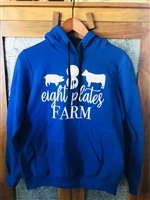 Feel comfy and stylish on any occasion with our Farm sweatshirt!